Kids Club is all about taking a group of fantastic young kids out for a laugh around Dublin. Kids Club gives them a break from their everyday life, which can be tough, and in doing so, we give ourselves a healthy break from the pressures of college life! If you join the crew on a Sunday, you might be going on an adventure to the zoo, the chocolate factory, the cinema, ice-skating, or whatever they think the best craic is! 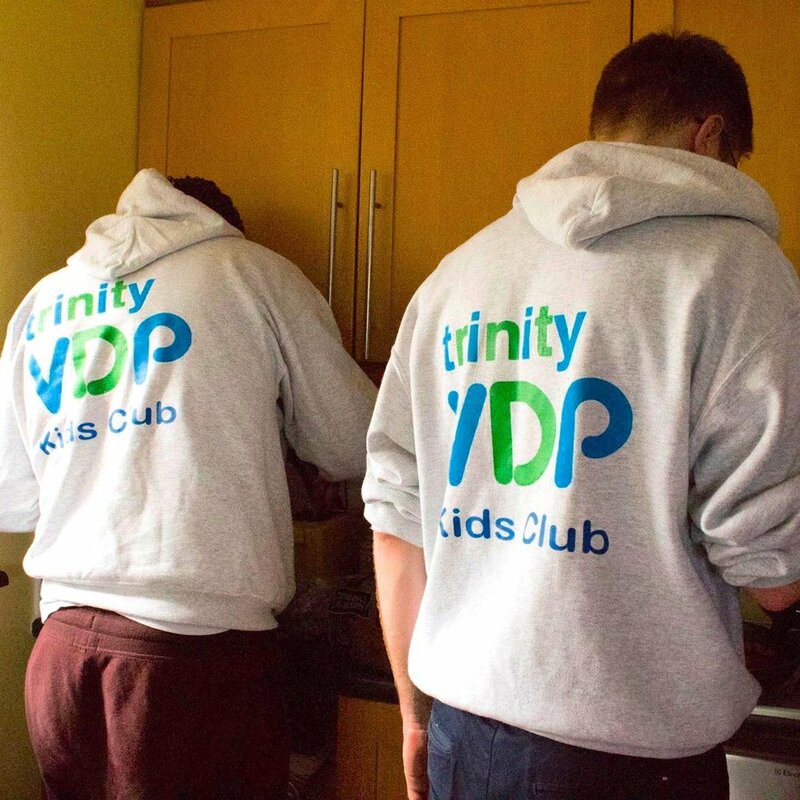 Email Kilian & Lara at kidsclub@trinityvdp.com or Emma and Niall at andrewscourtkidsclub@trinityvdp.com to get involved. Climbing Club takes place in the Sports Centre with a group of teenagers from the local area. It is a stellar way to pick up a new skill in an extremely relaxed setting while helping to push kids to try a unique activity they have likely never considered before. If you think you'd enjoy getting involved with Climbing Club, send Ciarán an email at climbingclub@trinityvdp.com! My World is an activity for kids from pre-school age to sixth class. My World organise activities from worksheets, to games, to arts and crafts for the kids on Saturday mornings. There's also a Christmas Show put on for the parents, a visit from Santa, and field trips, all of which means great fun in store for all! This activity is perfect for those with busy timetables during the weekdays, and you'll get to meet some fantastic kids! Let Eorann know if you're interested in My World at myworld@trinityvdp.com.